Posted on 16th April 2019 at 15:54. One platform that many businesses can get on board with is Instagram. Instagram is a fantastic platform for building relationships and sharing wonderful images. It is clean, simple to use, easy to understand and a great platform for inspiring your audience. Today, we will discuss the basic do’s and don’ts of Instagram for business. When people visit your Instagram profile, you must be able to clearly explain who you are and what you’re about within seconds. If you don’t, they will leave. Make it short and sweet, with a URL to your website. Don’t forget to have a contact email at the ready too. If you don’t post on a regular basis, you are far less likely to receive any engagement or new followers. It’s important to aim for engagement above followers as this is a key indicator that people are paying attention. If you are heading out to events or even collaborating with other brands or influencers, be sure to tag who you are with and where you are. There is a good chance that they will re-share your content, sending your reach even further! Yes, it’s great to have followers, but if you’re not following and engaging with them in return, how will they feel valued? Customers who return to your business do so because they feel valued and truly appreciate what you have to offer. Show this by following them back and engaging with their own content. Adding a list of comments in your post can look spammy and annoying, but here’s a trick: add your hashtag list into the comments the second you post! It puts your post into hashtag search results without the list of tags being viewed, helping you to reach new potential customers. Like most of our clients, the goal is to drive traffic back to their website, resulting in conversions. To do this, the right call to action is needed. Your posts should likely work with your call to action, such as sharing an image that shows only a snippet of what a full blog post will show them. Make sure to send them to your bio to find your website! Show who you are. Let people see what’s happening behind the scene. Show the personality behind the business so people know who they’re connecting with. Some may advise you shouldn’t post more than three times a day. Frankly, we believe you shouldn’t post more than once. Too much content in one day on Instagram can be perceived as spam, causing your follower count and engagement to drop dramatically. This should go without saying, but do not use your business profile to share your personal life. There is a clear, fine line. Have two profiles that keep these two lives separate from one another. Captions are important. They add even more context to your imagery, allowing your audience to engage even more so. When you screenshot an image to upload, the image quality is dramatically reduced. This can leave your account quality less than it used to be. You want to look professional, so avoid this at all costs. If you find yourself spending too much time on Instagram, stop. You need to take a break and let the content speak for itself. Don’t spend too much time trying to get everyone’s attention, as this can quickly look like spam. Are you ready to use Instagram as a business tool? We hope you found this helpful. 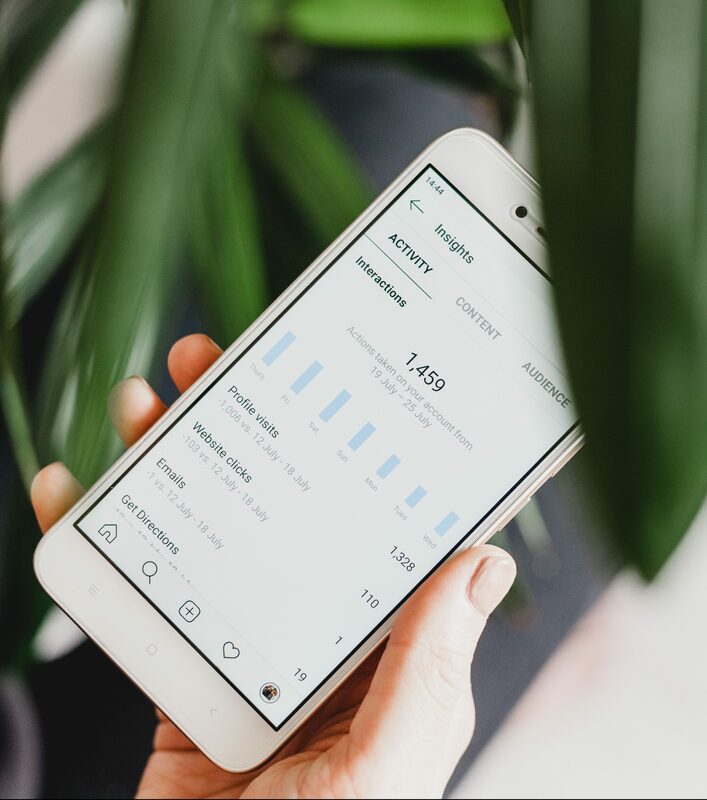 Remember, Instagram is just one element of everything you could be doing to boost your business online. At Search and More, we can assist with many elements, from social management to websites and SEO. To find out more, get in touch.